Edge network profiling and ACLs. Distribution network profiling and ACLs. Customer / Service Edge network profiling and ACLs. Customer / Service Edge firewalling with inbound/outbound filtering. Local/Internal firewalling with inbound/outbound filtering. Pipe Ten has been working with the FreeBSD based open-source firewall called pfSense for over 10 years, enabling cost effective, flexible and frequently updated stateful packet protection for its customers. 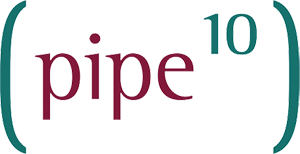 Pipe Ten has also worked for many years with other firewalling products both software and hardware from various manufacturers such as Cisco or CheckPoint providing advanced level of protections. Wherever possible Pipe Ten firewalls are deployed in high availability active/active or active/passive modes, the ease/safety of maintenance and availability benefits almost always makes it a costs effective choice. Our Intrusion Detection services can be combined with Firewall services and optionally Monitoring & Response services to provide Intrusion Prevention with active response to Threats or Problems.